The DPHHS Montana Diabetes Program is committed to reducing diabetes related disease and death rates, preventing type 2 diabetes among Montanans at high risk, and improving the quality of life of all Montanans with diabetes. The Montana Diabetes Program just released a new resource: The Montana Diabetes Prevention & Diabetes Self-Management Education & Support Story Maps. This resource has two main tools: the Diabetes Prevention Program (DPP) and the Diabetes Self-Management Education and Support (DSMES). The Diabetes Prevention Program is an evidence-based lifestyle intervention program that helps high-risk adults reduce their risk of developing type 2 diabetes. DPP is a 12 month, group-based program that can be attended on-site or remotely via video conferencing. The website includes a map that shows interested participants where they can find a DPP site. Additionally, the resource includes maps to locate exercise opportunities, fresh food, and more! The Diabetes Self-Management Education and Support (DSMES) Resource is for all people with diabetes. DSMES is the ongoing process of facilitating the knowledge, skills, and ability necessary for pre-diabetes and diabetes self-care as well as activities that assist a person in sustaining health behaviors needed to manage his or her condition. 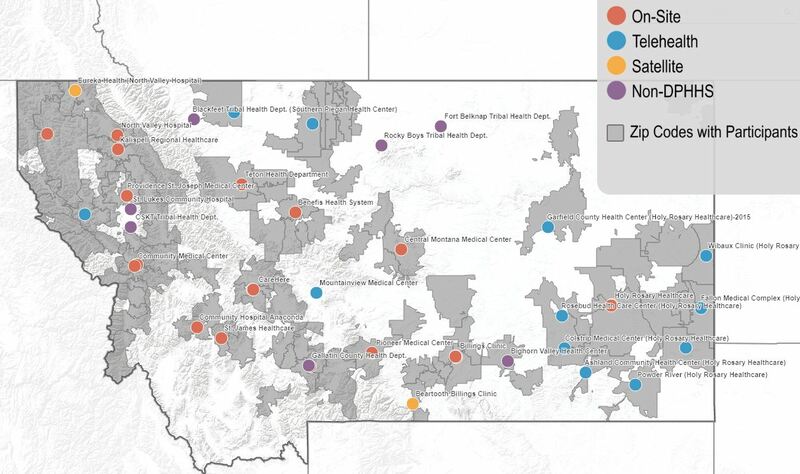 The DSMES resource includes a map with Montana Diabetes Management Education sites, where participants can meet one-on-one with an educator. The DSMES page also includes resources for healthcare providers, opportunities for exercise, and places to find fresh food. The Montana DPHHS Diabetes Program is committed to reducing the burden of diabetes by utilizing sustainable community partnerships. The partnerships provide opportunities for primary prevention emphasizing healthy lifestyle changes among high risk Montanans. The Montana DPP organizes, educates, and supports community partners in reducing the risks of cardiovascular disease and diabetes in Montana. For more information, visit their webpage! For resources on spreading diabetes awareness in your community, click here. Posted in Active Living, Clinical & Community Preventive Services, Programs and tagged Diabetes, Healthy Living, Preventative Health Service.